So this is probably the 4th post I’ve started to write tonight and I just can’t get myself to focus on something, I feel like my brain is just tossing and turning without the ability to choose one thing. I’ve also been over-thinking a lot of things, which in my life is nothing surprising. You see, I am a Pisces. 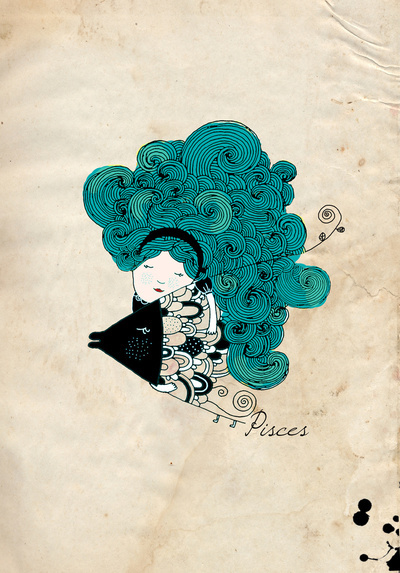 You may say what you want about astrology, I may not fully believe in it myself, but I am a Pisces in so many ways. I can be indecisive at times, sometimes more times than what I’m proud of. I can take one little thing and over-think it to the max. We live in a society that demands perfection, even when perfection itself is not natural. Whether it’s perfection in the form of physical appearance, intellectual or emotional strength, there is still an overarching demand to go above and beyond. Why? I don’t know. It’s like we’re in this constant competition of who is the best, and who can win? Whoever is perfect wins, because if you are perfect you must be the best there is, of course. We live in a society where it is not socially acceptable to air and embrace your weaknesses. It even takes a little effort to write about it here. Nobody is perfect, you’ve heard it a bunch of times, but do you believe it? I sure see a lot of people sucking up their weaknesses and playing the part on a daily basis. I see as well, however, people getting exposed in ways that make you question if they are sharing their weaknesses or thriving on pity. I want to be a strong person. I believe I am most of the time, especially when needed. I may not be a strong person at the gym and I may be lazy a lot of times, but I believe that I am strong when I need to be. I am just tired of people being afraid of exposing their human side. I want to explore what it means to be strong amidst your imperfections and shine between the cracks. Yes, I may display a lot of the weaknesses that characterize a Pisces, but I can make the strengths shine too. My mind wanders a lot, but it goes to amazing places. I love it! I love your blog and your style. I’ve been contemplating on starting a blog for a long time. I love writing but my grammar is not that great which, makes me think twice about putting myself out there, lol. This is so cool and I agree with you. Society is fake and very far from perfect.